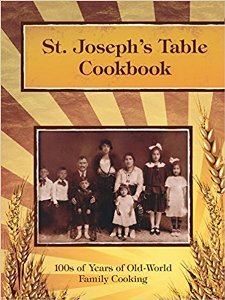 VENTURA, Calif., Feb. 14, 2018 /Christian Newswire/ -- "St. Joseph's Table Cookbook – 100s of Years of Old-world Family Cooking" (2018): Just in time to celebrate Lent, the Easter season and the entire Church year. A classic family-style cookbook of historic proportions filled with hundreds of years of classic, healthy and easy old-world family cooking. The washable hardcover spiral, paperback and Kindle all at Amazon.com where 100% of sales go to our mission of serving 80,000+ American homeless in Southern California and beyond! Also, free for media and show hosts from Mercy Books – "Proof of the Afterlife 2 – The Conversation Continues," available at Amazon.com. A sequel to Bro. Joseph's first book based on his being dead for 30 minutes in 2005, "Proof of the Afterlife" (2010 - 200 pages), "Proof of the Afterlife 2" (2018 - 400 pages) takes the reader on a new epic journey of hope and inspiration filled with 100s of additional, never-seen-before journal note pages filled with actual God-encounters, angel visitations, souls from the other side, visions, dreams and messages about the soon second coming of Christ and more!